Here in the industrial heartland, injuries are not a thing of the past. From our congested roads to work to our places of residence, injuries large and small happen every day to ordinary people. When faced with such a severe harm, it is important to remember that you are not alone. The Ohio Supreme Court has ruled several times against the interests of the victims, saying that victims must be put through twice as many trials if they seek torts for both compensatory and punitive damages. This type of system limits the rights of the injured and towards the interests of larger companies and corporations. Anthony has succesfully negotiated this bifurcated trial system for a military veteran victimized by a gian corporation. 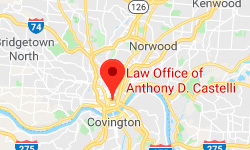 - The 2005 decision of the Ohio Supreme Court 'bifurcating' the system in which victims can claim compensation can be found here. For some victims, this will inhibit them from continuing with efforts to punish reckless or irresponsible parties in order to prevent them from acting in such behavior again. - Furthermore in 2012, the Ohio Supreme Court further restricted the rights of victims by strengthening hand of their employers. In the decision, victims have to prove that their employers intentionally meant to cause injury in some cases. - A Cleveland State University study even cited outside money in causing changes among those that claim to back tort reform that instead assists the large corporations or state bureacrats. Legal Assistance is still the key. All of the above resources are certainly helpful but come largely into play with the assistance of a skilled attorney. Having an attorney that has argued cases before judges and juries around Ohio and has never forgotten his roots is vital. A lawyer that is well respected among his colleagues and in the court system is very important. Anthony Castelli's service to his community and to accident victims across the state are exemplary. His knowledge of the legal field and his trained professionals in his office make every effort that all of his clients are treated like partners. Having such a personal touch, coupled with his experience is significant. His multiple citations such as listed as an Ohio Super Lawyer and multiple accolades such as a preeminent rating by Martindale Hubbel and his better business bureau slate should speak for themselves. Anthony doesn't let his record stand alone. His attention to detail has aided in favorable settlements and helped victims that suffered after an accident. He aims to make the victims whole again and hold the irresponsible parties to task for their actions that led to these errors. You should be worrying more about the recovery process, not dealing with medical bills or insurance companies hassling you. Let Anthony and his team work on all of that on your behalf. Let Anthony work for you. Employ his knowledge and fierce commitment to aiding those that need legal assistance. Call him today at 513.621.2345 for a free consultation and to learn your legal rights. 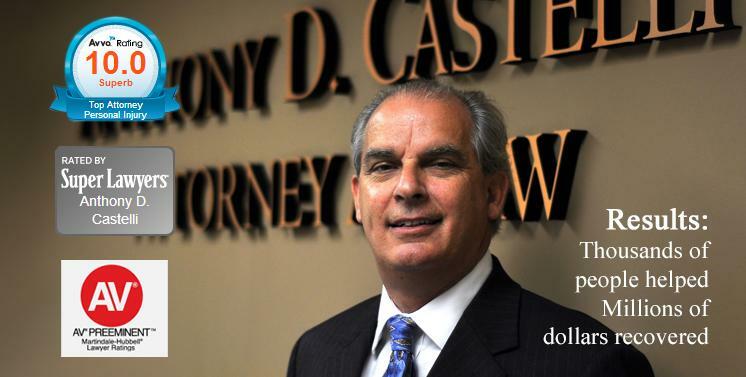 Anthony Castelli of the Law Firm of Anthony Castelli Attorney.